Rio Salado College | RioNews: All-AZ Scholarship Deadline Oct. 22! All-AZ Scholarship Deadline Oct. 22! Time is running out to apply for the All-Arizona Academic Team Scholarship. The deadline is Oct. 22. Here is information about this scholarship and The Jack Kent Cooke Foundation scholarship for top community college students who have achieved academic excellence and plan to transfer to a university. Each year, Rio Salado College nominates two of its most distinguished students to receive the All-Arizona Academic Team Scholarship, which includes tuition to one of Arizona’s three state universities; Northern Arizona University, Arizona State University and the University of Arizona, along with a cash award in the range of $500-1,000. Tuition and scholarships will be issued as a two-year, full-time award or a four-year, part-time award. Candidates must have a 3.5 GPA during the past five years and have demonstrated leadership or community/school involvement. For additional scholarship requirements, please visit this web. Apply before the Oct. 22, 2018 deadline. 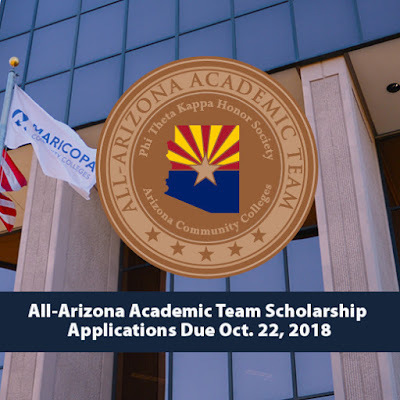 If you are selected for the All-Arizona Team, you will have the opportunity to apply for more scholarships, including the prestigious All-USA Community College Academic Team. 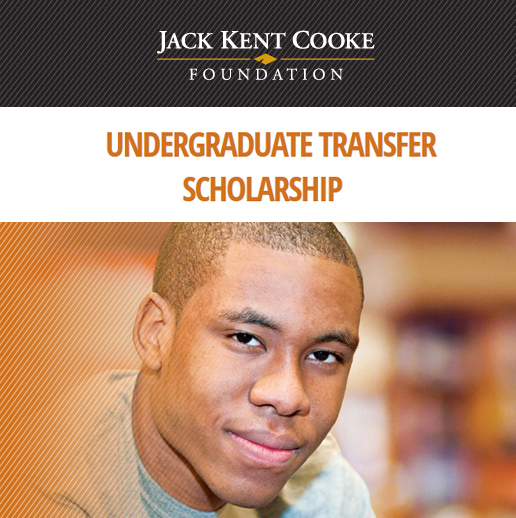 This is a nationally competitive scholarship for students who have achieved academic excellence at community colleges. A GPA of 3.5 or higher is required, financial need is considered and school/community service typically is expected. Chosen scholars will receive up to $40,000 per year in financial support to cover educational expenses and become part of a supportive network of educators and scholars. Learn more about eligibility requirements and apply online before the November 27 deadline by visiting this web page. We hope you will take advantage of these opportunities and call on our Student Life team if you require assistance, have questions or simply want to talk about the process by emailing StudentLife@riosalado.edu or calling 480-517-8050.